This beautiful cold molded Herreshoff Alerion reproduction is Hull #4, built by the Nantucket based Sanford Boat Company. I found her in Fargo North Dakota painted black and in long term storage. After many hours of refinishing, we were very satisfied with the outcome. 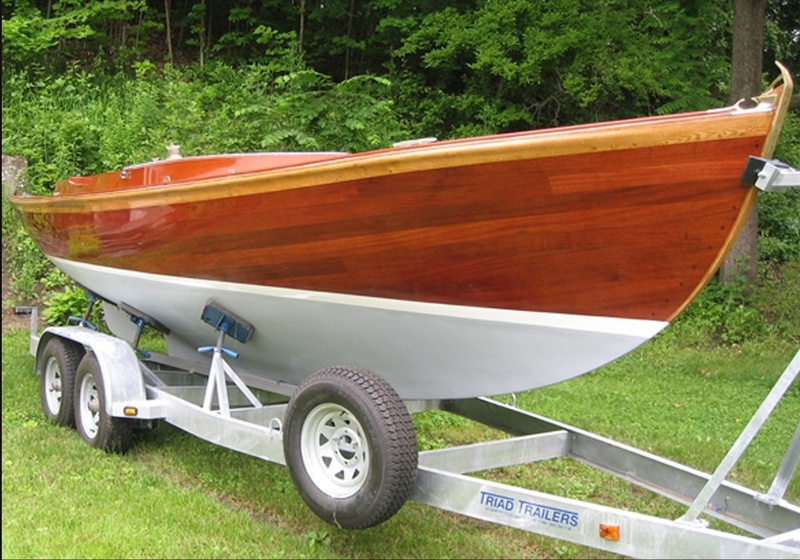 She has been SOLD, and is now at home on Nantucket, with the rest of the Nantucket Yacht Club Alerion Fleet.